Acanthus Press is your single-source provider for all of your printed communication needs. We are a locally owned and operated Somerset company, in business since 1967. Our in-house services do it all. At Acanthus Press, we understand that all jobs are different. We understand budgets. We understand you want to stand out from the crowd. We can help you. With so many ways to communicate in this 21st Century world, how can you be sure your message is effective? It might look like a minefield, but we will guide you through the process from start to finish to help you decide on the best way to get your message across. When ‘seeing’ just isn’t enough, we help you create a message customers can touch, feel and appreciate. Receiving a printed item never gets old — it is certainly more personal than an email or blog. It helps build trust. It makes you relatable. Social media and the Internet have their place, but lack the impact of print. It’s extremely important to us that our clients know who they’re doing business with; it’s our goal to meet your printing needs. Once you take the time to find out what we’re all about, we’re confident you’ll like what you see. Capable of printing full colour at the rate of 7,500 envelopes per hour. Envelopes can be printed edge-to-edge on paper stocks from 0.1mm to 0.5mm thick and a fixed head that prints 215mm wide C4 9 Station Kalmar. Acanthus print quality brochures and leaflets, but that’s not all. We are experienced in all things print related and will help you through the whole process from design to stock control and mailing. And since we control the process, we can guarantee the quality of our services. We either design for you or you supply a pdf via FTP or the cloud. Acanthus can keep your files for years so we can often retrieve it if it’s a straight reprint. Additionally, we can hold stock for you to call off online if your storage space is limited; and we can create a proof often matching the paper of the finished job so you can see exactly what it will look like before production. 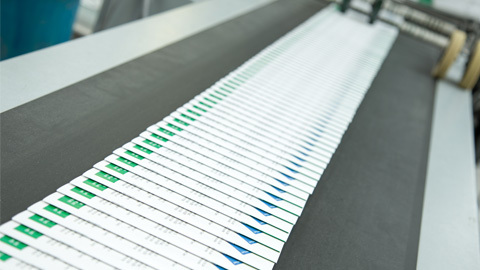 We use Printready Image Control to provide a fast and reliable make-ready of the print job. This gives us a quality analysis of the pass sheet and ongoing process control. 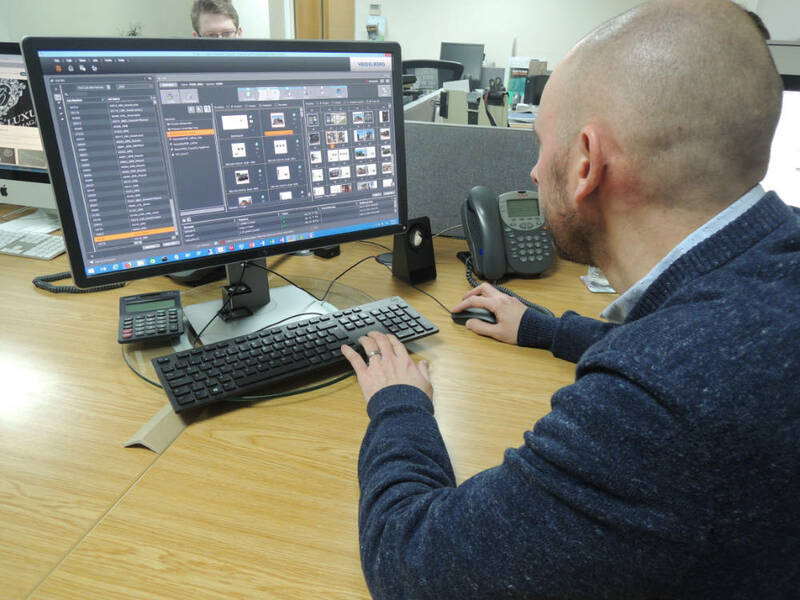 Using direct Image Control to stabilise the print run, we manage comprehensive reporting as a basis for internal quality analysis and extensive proofing of print quality (ISO standard), along with effective colour management. After proofing and packing, Acanthus will happily mail your final product. We pride ourselves on quality, service, pricing and reliability. Our production facility is solar powered and uses efficient methods to minimise waste and reduce carbon. The paper used is largely produced from sustainable sources and the majority of waste is recycled. Acanthus Press is the country’s local printer. We offer a wide range of bulk and individual printing services including leaflets, brochures, stationery, greetings cards and newsletters to name but a few. With unlimited options, let us look after your print requirements. We promise to handle all your printing needs to your utmost satisfaction. 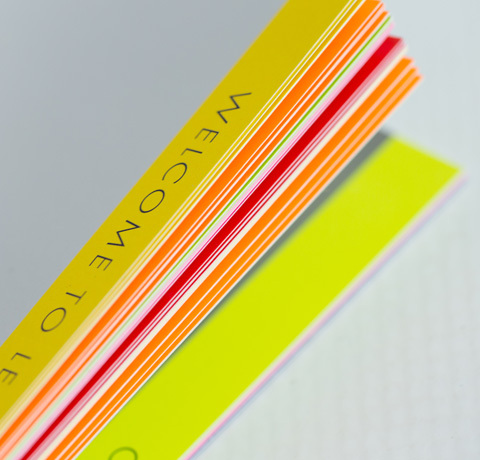 Simply complete the contact form and we’ll get back to you with your bespoke print pricing. However many items you need printing — a few or a few thousand — we have the means to do it, on time and on a budget. If you would like to order print online or set up a stock call off-site, then please contact us for more details. 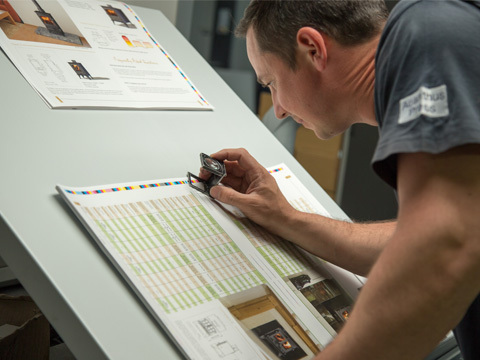 Since 1967, we’ve supplied specialist print finishing services catering to clients who demand quality craftsmanship, speedy production and attention to detail. Acanthus fold, stitch and trim on various machines along with cutting, creasing and perforating on the Heidelberg Cylinder. Other finishes include coatings like lamination and foiling; binding like PUR binding and section sewing with either a hard or soft case. Our knowledge and expertise using the latest print technology and materials mean we can manage your print projects through to completion, and our machines are capable of producing a variety of print finishing techniques including but not limited to. 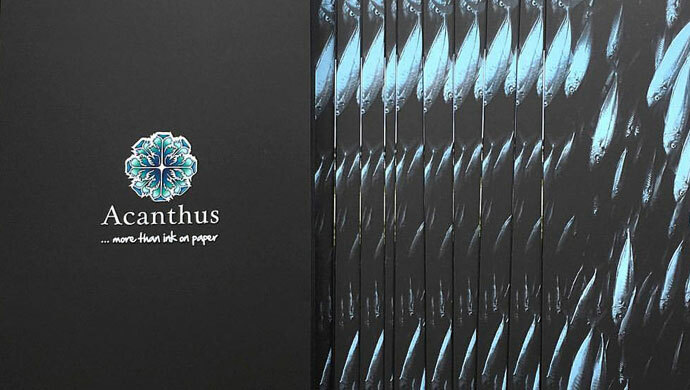 Acanthus achieves the highest quality print finishing solutions using the Heidelberg ST300, MBO T530-C, Stahl TP66, and the Heidelberg Cylinder. For a more detailed overview of each machine, please contact us here.